Great science fiction asks big “What if..?” questions. This allows us to play with the day-to-day realities of our own world by exploring different realities in worlds we create. It examines big issues and asks difficult questions about things that concern us all – pollution, technology, globalisation, genetic engineering, overpopulation – and does it without pointing directly at an individual or group. Science fiction spotlights issues, bringing them to the attention of the world, and this is especially true of things that are out of our control or not easily changed. What is the big ‘What if..?’ question in your story? 2) Are you writing in a setting or a genre? All genres have their particular story beats. Know your primary genre and write to the beats of that genre first. 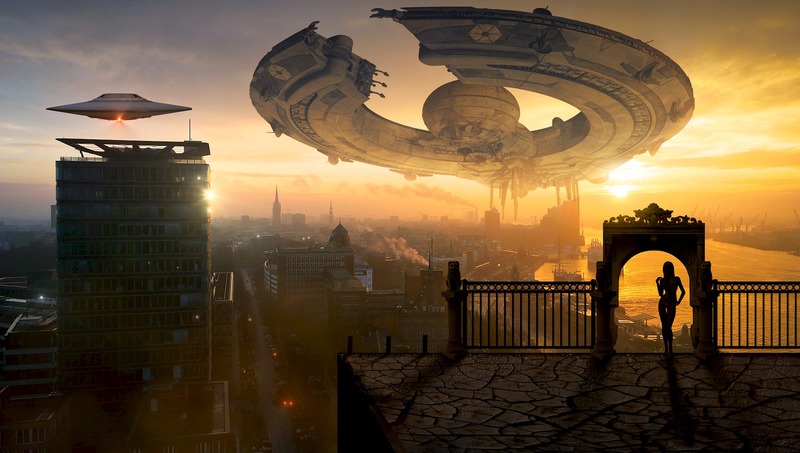 If you’re writing a futuristic revenge thriller, make sure you outline a decent revenge thriller first … Then reveal your sci-fi world through action and character. This works better than building a sci-fi world and shoe-horning a revenge chiller plot INTO it. First Stage World – primitive, nomadic, few people with very few tools hunting and gathering to survive. Second Stage World – small towns or villages with a community, hunting and gathering supplemented by farming, the first technologies arrive. Third Stage World – Cities filled with commercial enterprises and new ways to trade. Government, military and emergency services as well as law enforcement. Crime, but also leisure time and luxury goods. Fourth Stage World – Advanced technology is ubiquitous but untrusted. Poverty and crime are rife. Taxes are high but government services are poor, inefficient and corrupt. Fifth Stage World – Environment destroyed, natural resources gone, air and water polluted beyond the point of recovery. The dying world. The science always matters – even if it’s totally made up. But it really matters when you’re depicting things the audience know. If your story features a space shuttle launch you should know the launch procedure. If a character describes a scientific principal, make sure you get it right. Many science fiction films feature a laboratory scene, but the good ones feel like real laboratories and the people in them dress and act appropriately and take their work seriously. Basing your imaginary world on real things in our world grounds them in a way that makes them feel authentic, but this means you have to know a little of what you’re talking about. You don’t need to be an expert, just learn enough to write convincingly, but above all, be consistent. It doesn’t matter if the physics of your world aren’t real as long as they are consistent and you never break your own rules. There will always be jargon associated with science-fiction, but what sci-fi writers must avoid is nonsensical faux-technology and pompous, ludicrous-sounding names for things. If you’re ever tempted to write a line like “They’ve re-interpolated the quantum field transmission data and reverse-engineered the resulting Heisenberg matrix to calculate our vector”, just remember that “They’ve found us!” is easier to say, has greater impact and makes sense to everyone who hears it. Remember too that character names can be an inadvertent source of comedy. Ixnys Zyxiz may look great on the page but if the reader can’t read it you’re in trouble. The same is true with names like Zorg or Gaxy – it’s difficult to take anyone seriously when their name is Ambassador Zorax, and science fiction films where the characters sport bizarre names typically fail. Miserably. Bonus Tip: Write something that can be made! BIO: Robert Grant is a filmmaker, screenwriter, critic and script consultant, based in London and one of the core team behind The London International Festival of Science Fiction and Fantastic Film. He currently sits on the jury of the Arthur C. Clarke Award for Science Fiction Literature, the most prestigious science fiction award in the UK and serves as Literary Editor for SCI-FI-LONDON.com. 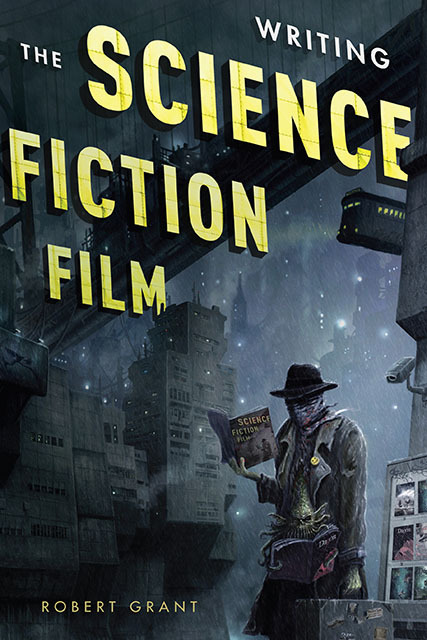 Robert’s first book, Writing The Science Fiction Film (Pub MWP), is OUT NOW. must say, that your six world stages seem to miss out several possibilities. you could have an ideal world on the surface with a dark secret beneath, or a threat lurking round the corner. this would not be one of your categories. real physics is worth sticking to and will satisfy any readers/ viewers with understandings of thermodynamics and conservation of energy(the two most often violated things in sci fi). Love the different world stages! Good, succint, accurate descriptions! I like the one SITJ mentions plus I would also say a stage missing is a Star Trek: TNG type stage/world! 🙂 My fave type of scifi! I have a great outline for a sci fi feature that I want to write and flesh out. But it’s defiantly NOT small budget. It would be comparable to Interstellar. You think I shouldn’t write it cause of its cost? We should always write what we want to write, because anything can happen … BUT if you want to make a sale, you might be better off writing something lower budget. Like all things, it depends and it’s weighing it up. I totally get why you are suggesting to write something that have more chances of realisation but can’t a story be sold to the big pockets and most creative directors. Like i have a time space continum based story in my mind, can i find someone who would want to work on that. Sure, anything is possible; but it IS a lot harder for obvious reasons. Earning your stripes on lower budget stuff means going up through the ranks, like Rian Johnston with Brick, then Looper, then Star Wars; or Duncan Jones with Moon, then Source Code then Warcraft. All good common sense advice! I am currently writing a science fiction book set in the 34th century and during the course of the book I make reference to a legendary Starship known as the Flagship. This is my way of having an homage to my all-time favourite Starship – the U.S.S. Enterprise NCC-1701-A. Now originally I was going to include a footnote explaining that the Flagship is the Enterprise-A, but then I have been thinking that could lead to a whole world of trouble. Should I still include the reference or the subtle homage or should I get rid of it entirely?